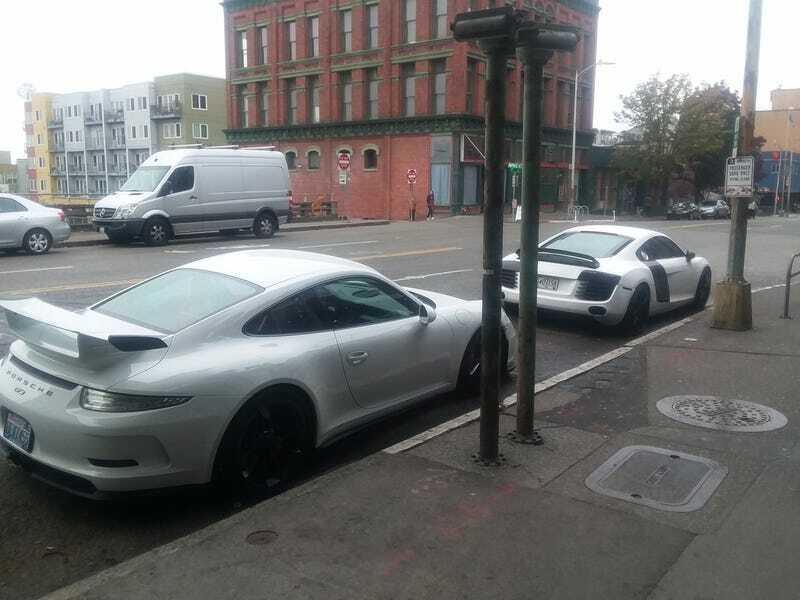 A nice R8 and GT3 spotted on the way to brunch near Pikes Place Market in Seattle. Lovely cars to brighten up a dreary looking day. Weather fits the character of the city for sure so it’s perfect for wandering around in warm rain jackets.